While Vimeo has been available on the iPhone for the last ten months for selected videos, yesterday the video sharing website announced a new “Universal Player” which allows you to watch embedded Vimeo videos from any device, no iPhone app or Flash installation required. The Universal Player detects what sort of device you’re using, then delivers the “optimum player” to render video on your device: A mobile player for Android and iPhone, and full-fledged H.264 video to HTML5 devices such as your desktop or tablet. 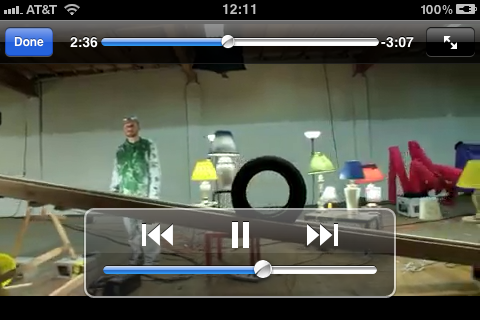 OK Go in HD on Vimeo on an iPhone (Link below). Do you think services such as Vimeo’s Universal Player are another nail in the coffin for Flash, or will Flash stick around for a while longer? Let us know in the comments!